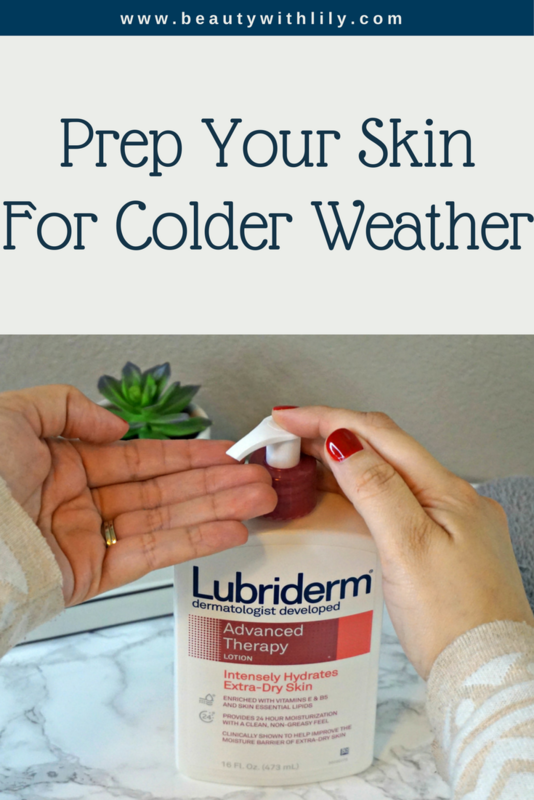 Dry skin is the absolute worst and now that winter is in full swing, it’s time to prep your skin for colder weather. Use the following tips to avoid dry skin this winter season. Once winter rolls around, my poor elbows suffer — they get extremely dry, they can be a bit painful. And my poor husband suffers from dry patches this time of year too. As you can see, we are in need of heavy duty moisturizers in our household. 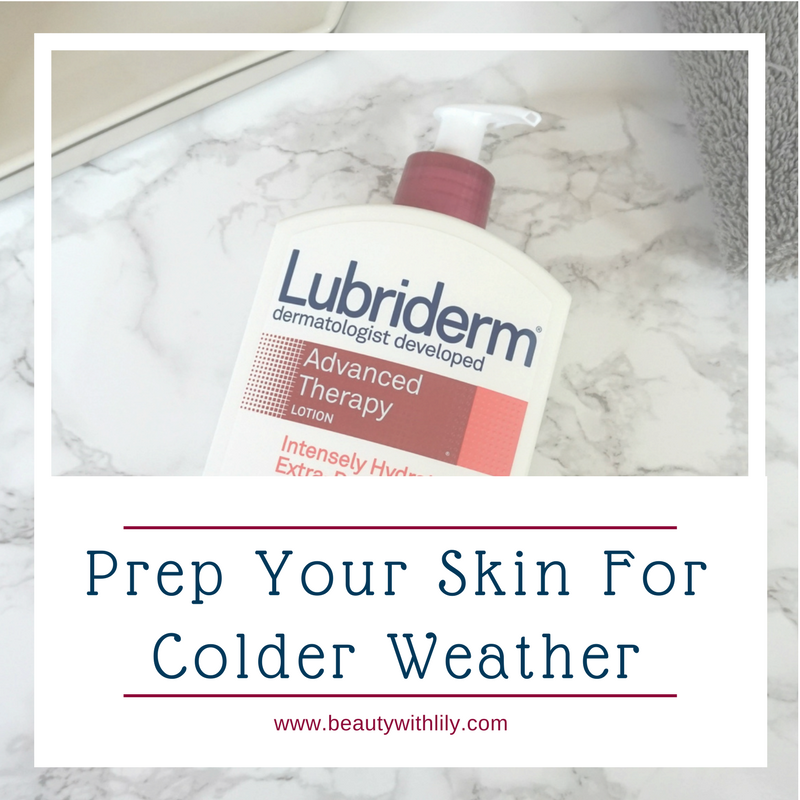 Today I’m sharing a few tips, along with our go-to lotion that will help prep your skin for colder weather. PS – it’s super affordable and works wonders! Find it here! Try using a humidifier in your bedroom while you sleep, they provide additional moisture which is so important. It even helps with sinus sensitivity and keeps your hair and nails hydrated as well. You can find gentle exfoliators or make your own at home, for almost every part of the body. You want to have different exfoliators for every area though, find what works for your skin type, face, body and lips. After getting out of the shower or bath, pat your skin dry and moisturize it. 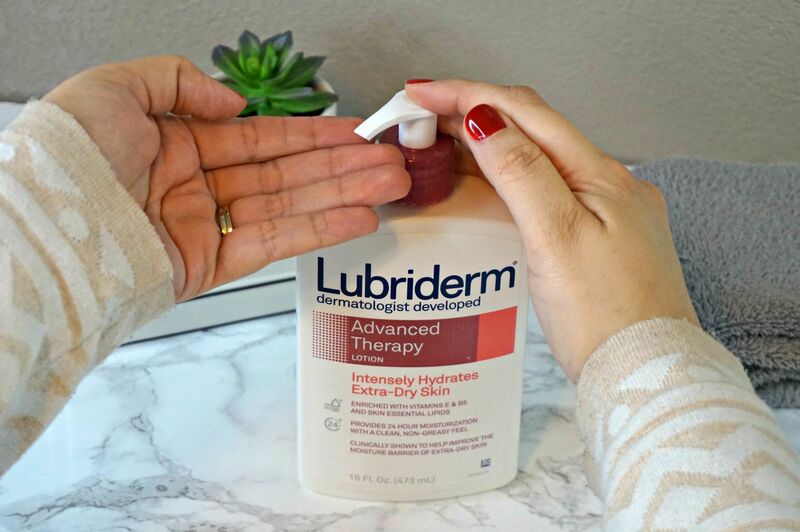 My husband and I have been hooked on Lubriderm lotions lately. After my husband’s surgery last year, his skin changed drastically, he has such dry skin now — he even gets cracked patches on his back. 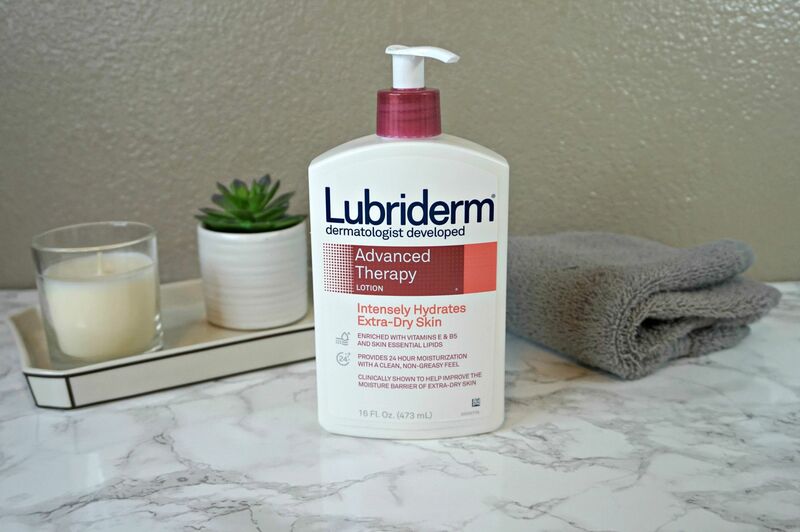 So we love that Lubriderm offers such a wide variety of lotions. 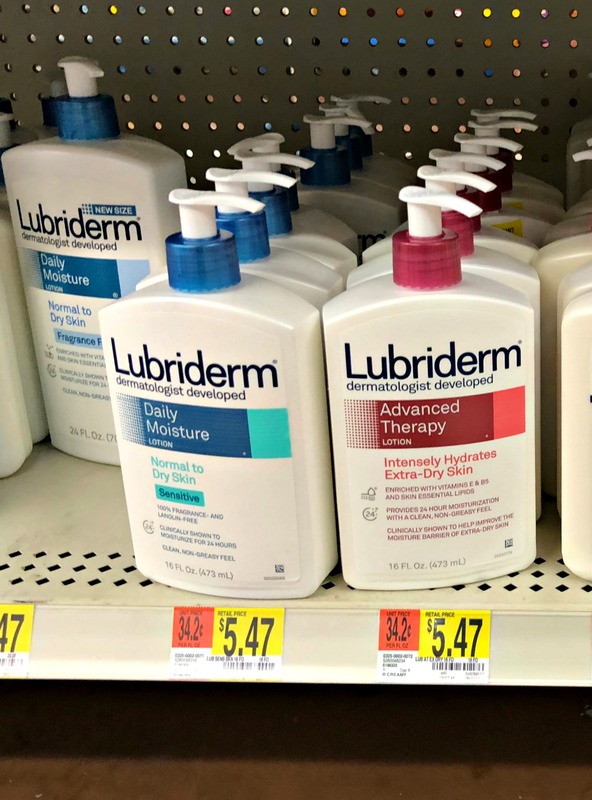 If you have yet to find your go-to moisturizer, I definitely recommend going to your nearest Walmart and picking up a bottle of Lubriderm that will fit your skin type and needs — and it’s super affordable too. Long and very hot baths and/or showers can strip your skin of it’s natural oils. So while long hot baths may be super relaxing, try to avoid having them frequently. At all costs try to wear kitchen gloves while doing the dishes and socks at night. If you lather your feet with Lubriderm and wear your socks every night, the chances of having dry, cracked heels are low. My mom swears by this. I hope y’all found these tips helpful, it’s so important to keep your skin hydrated, especially during such a harsh time of year. 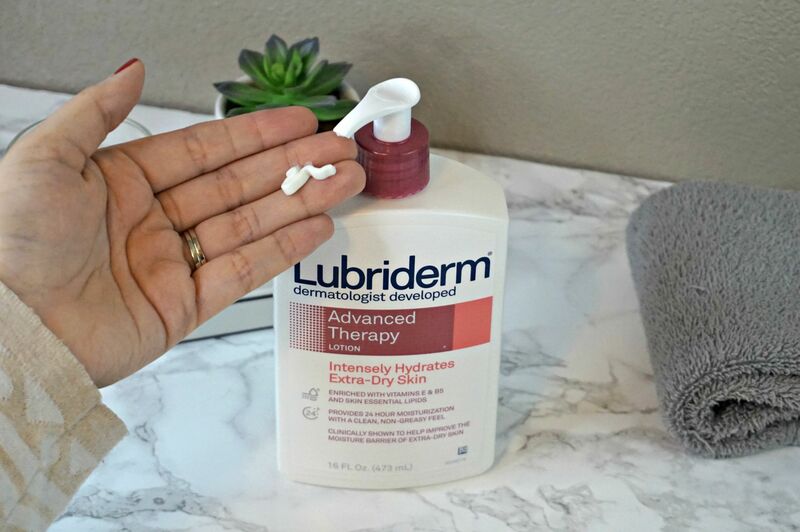 Have you tried Lubriderm? What are some of your tips?